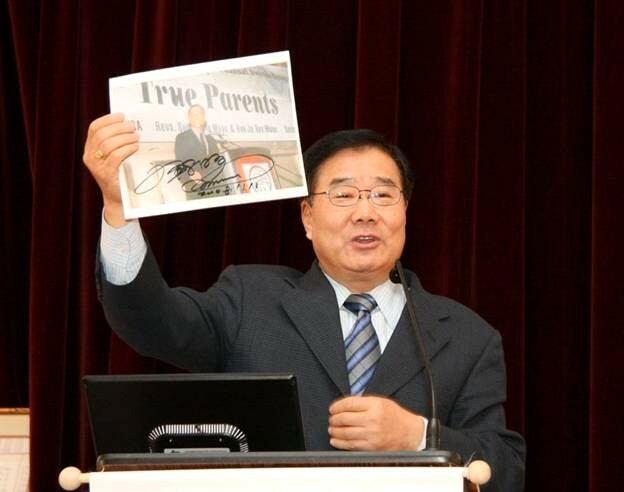 While in Korea after the US presidential election, [Unification Church Bishop] Ki Hoon Kim felt strongly that America and Barack Obama immediately needed True Parents’ blessing. Thus, when he met with True Parents [i.e. 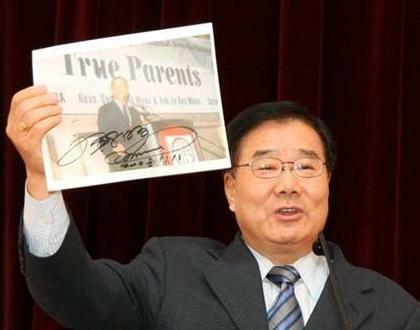 Rev and Mrs Moon] in November 2008, he received True Father’s signature on a picture of Barack Obama at the 2003 True Family Values Awards’ Banquet.